Iron Studios is proud to present their very own version of DC Comics' deadly assassin, Deathstroke! 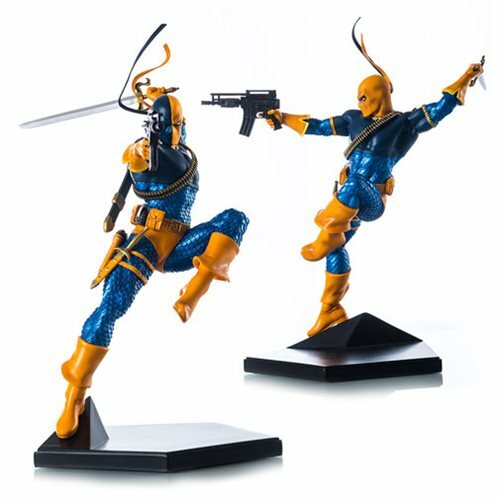 Based on concept art by official DC Comics artist Ivan Reis, this DC Comics Deathstroke 1:10 Art Scale Statue features the mercenary just before a kill, with his sword at the ready and aiming his gun. Sculpted from polystone and hand-painted, this limited edition statue measures 9-inches tall. Ages 15 and up.